Thirteen years into the 21st century, there's still no clear indication on where we're heading from a technological perspective. We've largely abandoned space exploration and won't be reaching other planets anytime soon. On the home front, however, advances are happening rapidly and making devices from just a few years ago feel out of date. Will we reach a point where technology overwhelms our humanity? 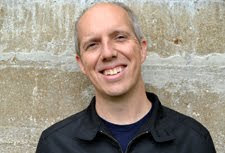 Fringe offers a telling example with The Observers, who were like us but lost emotions because of the technology. They're brilliant machines with amazing capabilities, but that means little without a connection to other members of the species. Changes are happening so fast that controlling them seems very difficult. Paprika shows us a world with incredible advances that may collapse into oblivion. Our dreams are pushing into reality, and humanity isn't ready for the dire consequences. 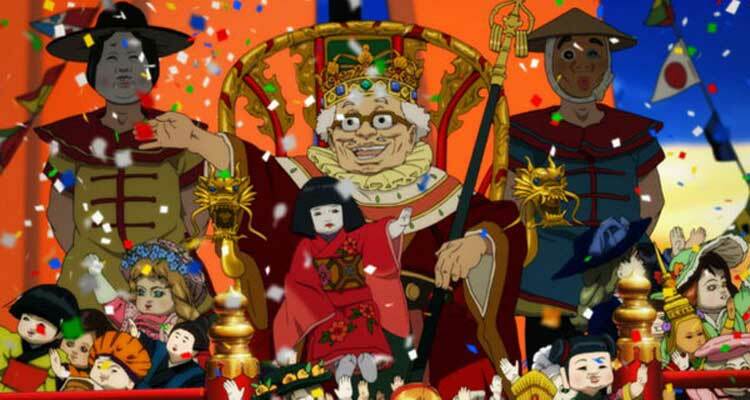 Satoshi Kon (Millennium Actress) creates a landscape where anything can happen, yet there's a skeptical feeling we might need to slow down our rise to this god-like status. In the near future, a revolutionary tool called the DC Mini gives users the ability to observe people's dreams and venture inside them. 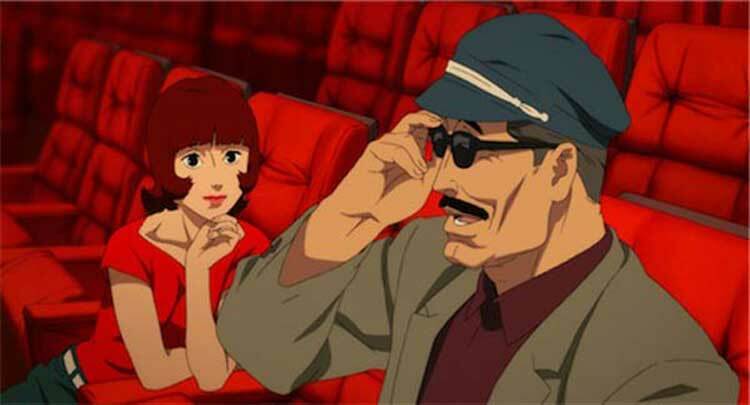 Doctor Atsuko Chiba (Megumi Hayashibara) uses her alter-ego "Paprika" in that world to help her patients, but a serious problem arises when the devices are stolen. While Chiba and her team try to locate the guilty party, the line between dreams and reality blurs and threatens their entire world's existence. Paprika was an excellent choice for this mind-benders marathon because there's so much happening in every scene. 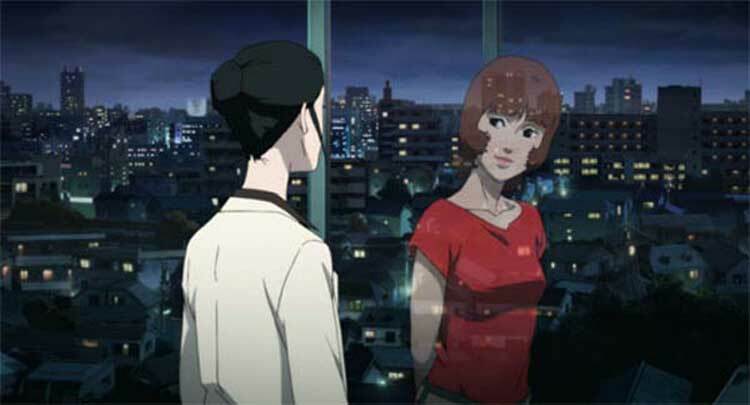 Satoshi Kon's first movie Perfect Blue also explored the line between reality and fantasy and partially inspired Darren Aronofsky for Black Swan. This was his last movie and offers a striking look at a dream world gone wrong. These images make Inception look pretty simple by comparison. 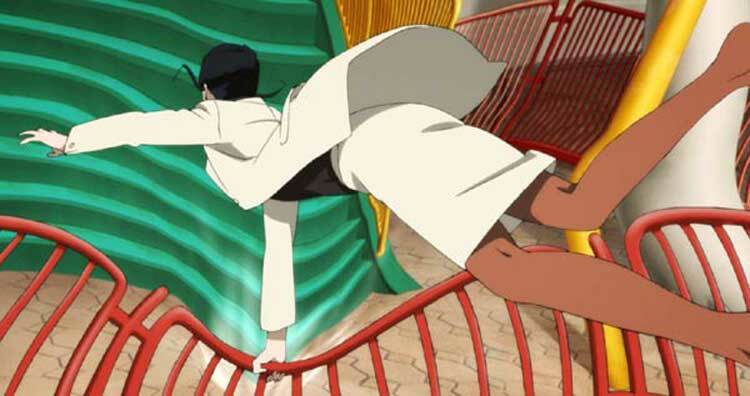 The challenge for Kon is balancing his creativity with the need for a story that makes sense. For the most part, he succeeds in delivering a movie that provides visceral thrills without losing our attention. It nearly goes off the rails near the end when chaos reigns, but Kon holds it together just enough to give a satisfying end. This is quite a statement given the fact that it closes with a battle of naked giants. The talented artist creates a world where virtually anything is possible, and the stunning animation is more than able to back up his ambitions. In a out-of-control movie like this one, there's no single "big twist" to explain everything. The story is filled with constant movements between dreams and reality and rarely takes a moment to catch its breath. When even a simple walk to a Ferris wheel is fraught with danger, nothing is certain. Evidence points towards Kei Himuro (Daisuke Sakaguchi), but that's just a smokescreen for a nefarious plot from more powerful figures. They're looking to do a lot more than simply observe people's dreams. One element that isn't a surprise is the involvement of Doctor Morio Osanai (Kōichi Yamadera) in the conspiracy. He spends most of his screen time complaining about a lack of respect from Chiba. Osanai's obviously a villain, but it's still disturbing when he confronts Paprika and basically rips her apart to reveal her true form. She may not be "human" but is still part of Chiba's personality. It's this type of nasty moment that moves this film beyond a childish fantasy. Vicious acts in the dream world connect to real life and can even kill them if people aren't careful. Beyond Chiba, another key character is Detective Toshimi Konakawa (Akio Ōtsuka). He's struggling with a vivid memory that torments his dreams. The story opens inside his consciousness as we journey through movie settings like a circus, a Tarzan film, and even a train fight straight out of From Russia with Love. He's chasing a young man who's falling to his death, but the situation's more complicated. The guy is always just out of reach, and it's maddening for the detective. He's working with Paprika to dig through his issues, but he also gets embroiled in the main plot. Konakawa's story is enjoyable because he's traveling through the world of movies. In an inspired moment, Paprika eats popcorn in a theater and watches his dreams. Characters watch these dreams like movies, and that thematic connection is clear throughout this tale. The villainous parade of toys is like a kids' film gone mad, and that makes it even creepier than your typical monsters. It's challenging to choose a few highlights in a movie filled with outlandish sequences. I'll start with the continually expanding toy parade, which begins as a fairly benign entity. When the sinister dolls start threatening people and causing mayhem, it transforms into something much creepier. On the mellow side, I also enjoyed the set-up of the online bar where two friendly hosts greet Konakawa. This digital meeting place with Paprika lacks the craziness of the other dreams, but its logic makes sense. The hosts play a key role in the finale and bring a quiet grace to a movie with a lot of noise. I should also mention the hulking man-child Kōsaku Tokita (Tōru Furuya), the genius behind the DC Mini. He's close friends with Chiba, and she cares for him with a sense of pity. We first see him being helped from the elevator after getting stuck inside. Even his innocent demeanor is corrupted by the evil forces when he takes the form of a giant robot. It shows the danger from nearly every corner of this world as dreams and reality merge together. The benefits for Paprika in a re-watch are the tremendous amount of images being thrown at you in a short period of time. Of course, this positive is also the movie's crutch. Kon is delving into serious themes about the dangers of our reliance on technology. He makes some good points, but it's such a busy film that it can be overwhelming at times. In a sense, this approach matches the massive influx of information coming from the Internet every day. Our world can feel like it's out of control, and there's no way to keep up with all the data. There are no giant dolls knocking over buildings (yet), but that closing riot is a clear warning. It's a pretty obvious message that could feel heavy-handed in lesser hands, but there's enough fun within the mess to make it an exciting ride. I totally did NOT like this movie. I didn't like the animation, the story, the characters... not to mention, on top of that, I couldn't follow a dang thing going on. None of the movie made any sense, so I eventually just mentally gave up on it. Nick, I'd be lying if I told you that I could explain a lot of what happens in Paprika. Still, I enjoyed it overall. I can't really argue with your position, though. The final act is all over the place, and I can see how it all could get irritating. I really did not like this movie as well. Quite possibly, my least favourite anime. For the majority of the part, it really didn't make much sense. You are right in saying that it throws a lot of images at you but after a while, it became too much for me and I also had the feeling that Satoshi Kon was more interested in making the problem more complex than giving any solution to it. At least in my opinion, it shouldn't be that way. What I liked about it was the feeling of a world that's totally out of control and collapsing in upon itself. Everything doesn't work and it's confusing at times, but the overall mood worked for me. It sounds like I'm in the minority, though. Very Nice Review Dan. Paprika was one of the best animated movies of that year and the fact it was not nominated for Best Animated Film makes me sad at the state of the technique. It had a very creative story and it was beautifully animated. I loved the begining moments where characters jump from genre to genre. That scene kinda mirrors how the story itself will change genres. I never found the story to be confusing. The D.C. Mini was used to see into other dreams and now someone has let the dreams out into the real world. Yet even if it was confusing, it was still enjoyable because of all the dream visuals. The movie could have been nothing but that and I would still recommend it. Dreams don't have to follow a paticular plot structure and neither should movies because they are both dream worlds. Vern, great to hear from you. I didn't have a problem understanding how the DC Mini worked. The trick for me was near the end when chaos started taking over. I looked at it pretty much as the shattering of the barriers between reality and the dream world. Thanks! This is an amazing movie and like you say something which makes Inception look like a simple one. It looked beautiful as well. Happy to read you also enjoyed it. Nostra, it's cool to hear that you enjoyed it. I was starting to think that there was a generally negative consensus about Paprika. I just checked out your review. Nice work! I'm not sure that I'd give Paprika a 10/10, but I did enjoy it. You make some good points, especially about all the images up on the screen.